So, I've been trying to revive this blog for a year now. But every blog post feels like the last, and it occurred to me recently that something was missing. Just like that, the Book Chat is back. Because I figure, why the $%#@ not? So, here's what we're going to do. We're going to recycle old Book Chat topics because it's been that long. Surely, you've read new stuff since then and you have new thoughts and opinions. And if not, we'll come up with new topics and ideas. Either way, I will be here posting about books on Thursdays. And I'm inviting you over. If I were really inviting you over, there would be coffee or wine or beer (depending on time zones) and cake or pizza, maybe a cheese tray…I'm rambling. Point is…I miss you, and I'd like to get the gang back together. 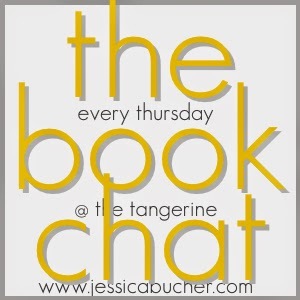 And if you've never done the book chat before…get in here! Basically, the book chat is just what it sounds like. A weekly link-up where we discuss books using a weekly prompt. That simple. You don't have to be a book blogger, in fact, most of us aren't. You really don't even have to be a blogger. Be a tumblr. Or Facebooker. Or Instagrammer. Times are a'changin. The only rules are that you have to follow the host(s) via something like Twitter or Bloglovin. Then, go around the link-ups and chat with others about the topic d'jour. So, here you have it. I'm in if you're in. April 2 - What are you currently reading? April 16 - Self-Published Books - Do you read them? What are your favorites? April 23 - It's my Birthday! For my birthday, I want the gift of an excellent book recommendation. Tell me what to read! and why, of course. April 30 - Film to Movie adaptations. Your thoughts and favorites? I've been hoping this would come back! I am so excited that bot you and The Book Chat are back!